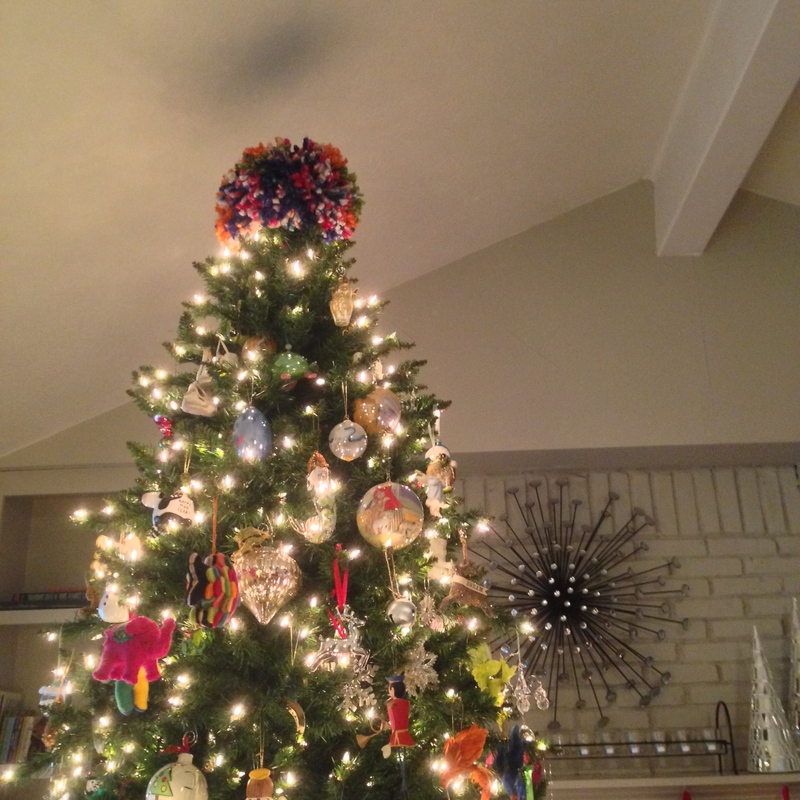 I put my pom on top of our Christmas tree, but it could go anywhere in need of a fun decoration! Wrap frame with entire ball of yarn. Complete 2 frames, repeating steps 1 and 2. Tape frames together to form a ring. Gently cut the yarn with very sharp scissors. Use a weight to hold down the yarn if it begins to come loose. Thread a long piece of string between the cardboard frames. Wrap the string completely around the pom. Tie string as tightly as possible, in a few knots to secure it. Shake out your pom so the yarn evenly distributes, then trim any pieces that stick out. When you’re done trimming, your pom is complete!